Christmas came to my house last night!!! Ok, ok, it was not Christmas but it sure felt like it when I received my Stitch Fix box yesterday. Then again, I LOVE getting mail (besides bills of course, who likes those?) and a white box with blue letters is my favorite mail to get. I was very hopeful for this box because I made sure to give more specific requests to my stylist. My note to my stylist mentioned that I would like to see clothes I could use on any of my upcoming trips – Portland, San Fran and Miami as well as one pair of low-mid waist jeans (cropped or regular). I was happy to see at least one pair of cropped jeans but at first glance, I was not feeling this box at all. 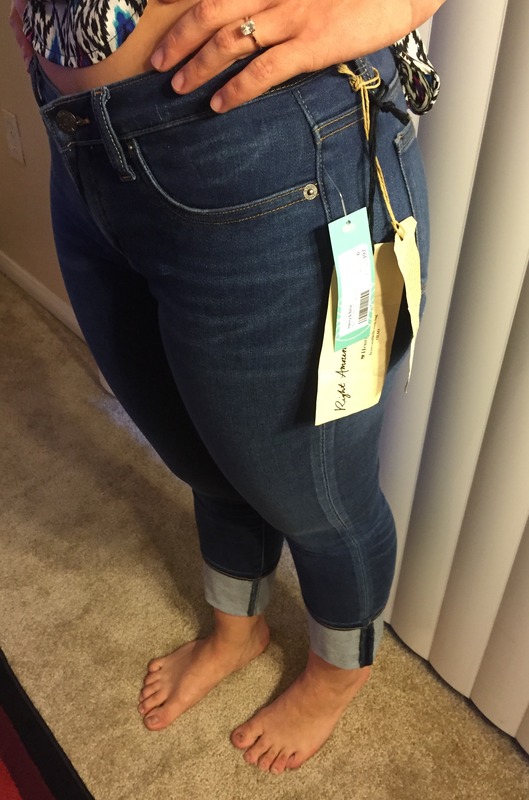 Welp… that is why Stitch Fix tells you to try everything on. 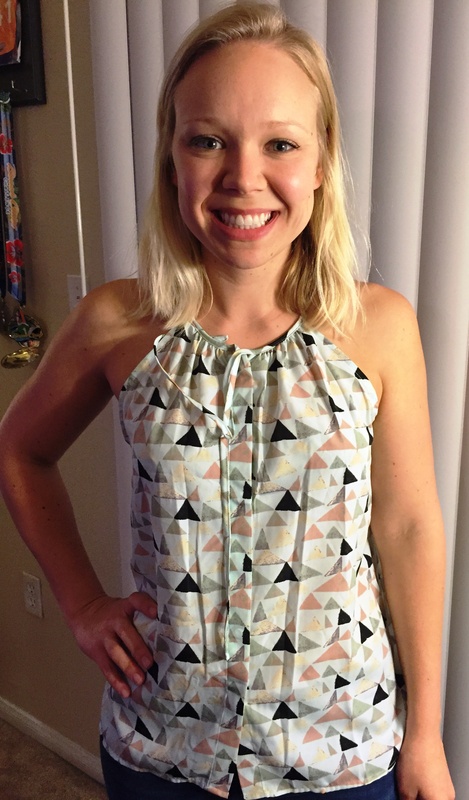 Here is my review of my latest Stitch Fix box. I loved this top! The style was completely my taste, the fit, although loose fitting, would be perfect for the summer. I liked that she noted this tank would be perfect for all of my vacation because I can definitely see myself wearing this throughout the summer. When it gets a bit cooler in winter, the tank will be perfect with a cardigan. Add in the Kent capri jeans from my box and you have the perfect outfit. This dress is just perfection. The color, the style, the pattern. Anyone who knows me knows that dresses are my thing. I wear dresses every single day at work (I don’t even own a pair of work pants) so I was thrilled and excited to get this dress in my box. The navy blue with the large polka dots make this dress perfect for work with a cardigan and in the summer with sandals. Figure flattering, comfortable and versatile- it does not get better when it comes to dresses. I cannot wait to wear this dress! This was the only item I did not think I would like which was confirmed when I tried it on. 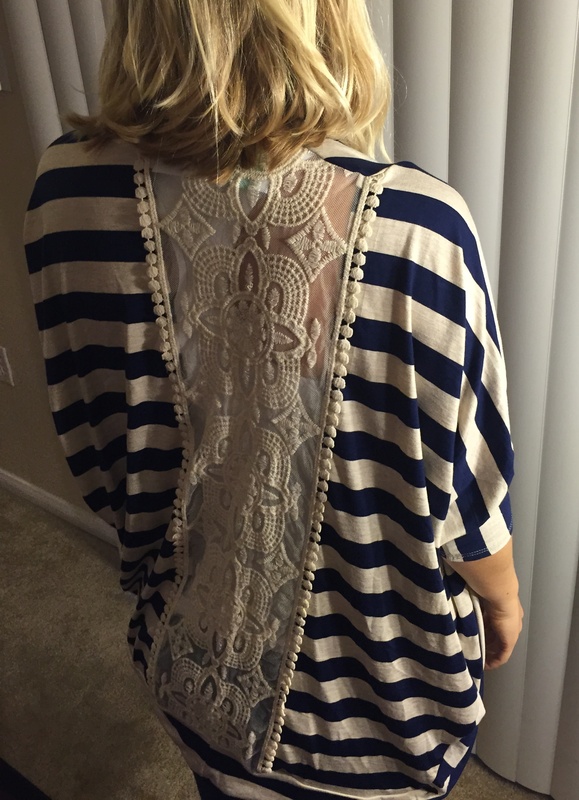 Although the back detail was beautiful, I do not like drapey cardigans and usually do not prefer open cardigans. This one swallowed me up and was not figure flattering at all. Definitely a return for me. Funny enough, this was the top I thought I was going to love because I pinned it on Pinterest. The pattern was adorable and fitting for summer. With delicate front buttons and a soft fabric, I thought it would be a definite keeper. The fit however was all wrong for me. The loose fit was too loose that it added unnecessary weight (and Lord knows I do not need extra weight added in clothes) I might consider asking if it comes in XS for my next fix because I still loved everything else. I had a bad feeling about these pants from the moment I saw them! My stylist mentioned they were more than I noted for pants on my profile but to give them a try. They went on with ease and were as soft as butter. Thy were so comfortable and a fairly near perfect fit. Unfortunately the price is making these hard to swallow. I only just 2 pairs of jeans which happen to be the same $40 LC Lauren Conrad jeans so $178 is a bit higher than I wanted to pay. However, like the husband said sometimes you get what you pay for and maybe it is time to upgrade on jeans. After trying on my box, I knew that I had to request my stylist again (shout out to Meg) because she totally nailed my style. I liked that she included two items I requested while giving me three that were totally up my alley. Again, posting to a Pinterest board and being specific in your notes, really do help get the very best box possible! 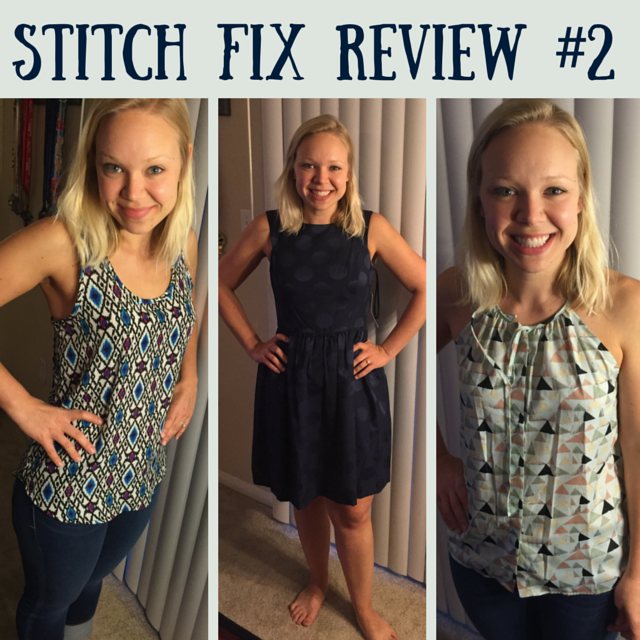 Wondering what Stitch Fix is or missed Stitch Fix #1 Review? Check it out here. Note: I have no affiliation with the company listed above nor was reimbursed or compensated for my opinions. The service is simply one that I like and want to share my experience with. However, if you are interested in trying their service, they do offer a referral program which rewards a $25 credit for any referrals received. Click here to sign up with Stitch Fix today! Good luck! 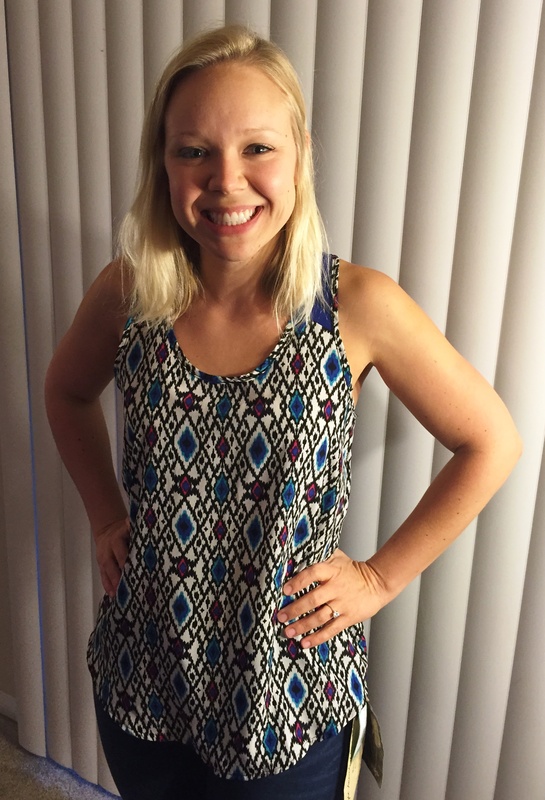 This entry was posted in Fitness, Stitch Fix, Travel and tagged Fitness, Stitch Fix, Travel. Bookmark the permalink.